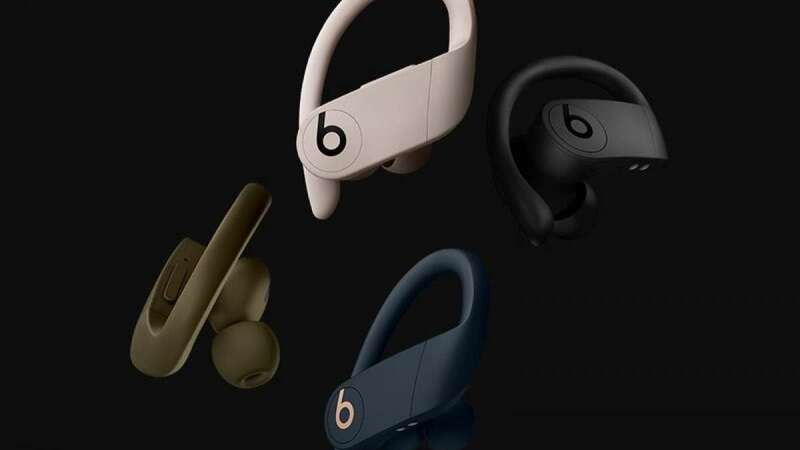 New Delhi : Apple, the tech giant has officially announced the new Powerbeats Pro Wireless Earphones which is similar to AirPods available in the market. The new Apple Powerbeats are wireless, comes with a charging case and supports up to nine hours of listening time. An Apple source confirmed that the new Powerbeats Pro is going to cost $250, hitting the market on May, this year. It is available in four colors like black, ivory, moss, and navy. According to Apple, the Powerbeats Pro deliver "powerful, balanced sound with dynamic range and noise isolation for a premium listening experience." The Powerbeats Pro are sweat and water resistant and include the Powerbeats earhooks along with tips in four sizes for keeping them securely in place during workouts. There are physical controls on each earbud, with a dedicated volume buttons for adjusting the volume, and a button for answering and declining phone calls and changing the track that's currently playing. Like the AirPods, the Powerbeats Pro automatically detects when they're in your ears and can play/pause music accordingly. The Powerbeats Pro come in their own clamshell-style charging case, which adds over 24 hours of combined playback with the nine hours of listening time that you get from each earbud. There's a 5-minute Fast Fuel feature that provides up to 1.5 hours of playback in five minutes. It use "Class 1 Bluetooth technology" for extended range and fewer dropouts, and the H1 chip that's in the second-generation AirPods is also in the Powerbeats Pro. Apple says that on May 2019 the Powerbeats launch will be held in US and more than 20 additional countries and regions, including Australia, Austria, Belgium, Canada, Denmark, Finland, France, Germany, Greece, Hong Kong, Ireland, Italy, Japan, Lichtenstein, Luxembourg, Macau, Netherlands, New Zealand, Norway, Portugal, Puerto Rico, Singapore, Spain, Sweden, Switzerland and the UK.